Ajanta Ellora caves have inspired people because of their rich heritage and impressive design. A big time tourist attraction, they are considered as the gems of India. It is situated near the city of Aurangabad. You can visit this beautiful place from the month of June to March. This is the best place to visit with your family and friends, with the rich atmosphere captivating adults and children, alike. It’s historical value helps the younger generation know about the past and how rich the culture and heritage of India is. 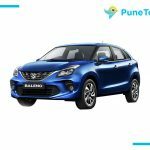 While planning to travel from Pune to Ajanta-Ellora by car, you can rent a car from Pune tours for your Aurangabad trip. Renting cab in Pune allows more comfort and flexibility, as it is economical and hassle-free at the same time. You can hire a car in Pune from Pune Tours for corporate meetings, marriages, airport pickup and drop service in Pune. We offer a wide variety of fleets, and accommodate our clients as per their requirements and group size. We also rent tempo travellers in Pune from 9 seater to 13 seater, giving you a personalized experience. The seats are adjustable and you can travel smoothly with friends and family without any hassle. 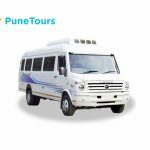 We, at Pune Tours offer A/c and non a/c vehicles for groups and families, so that they can travel comfortably. We are a renowned travel agency in Pune as we are truly customer-centric and try to do our best to serve our clients. 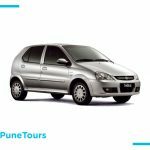 Why Book Cab from Pune to Ajanta Caves with Pune Tours? Vacations are an amazing part of human life. It is the period where you can spend time with family and friends and indulge in a lot of adventure activities. This strengthens relationships and helps create beautiful memories. This summer, hire a cab in Pune with Pune Tours and enjoy your leisure time by renting a car to Ajanta and Ellora. Hiring a cab in Pune is a more convenient way of travelling during your vacation. Clients who travel with Pune tours are happy and satisfied with the kind of services that we provide. Our clients are provided with the best drivers who are friendly and punctuation. They are trained for special and premium luxury cars. You can travel in comfort, to destinations like Mumbai, Shirdi, Lonavala, Mahabaleshwar, and many places around Pune. If you are renting a car hire service in Pune from Pune Tours, it is surely going to please you. Just place your requirements, and we will have a car ready to go in no time. You may call us on +91 7721 91 2222 or simply visit punetours.com.